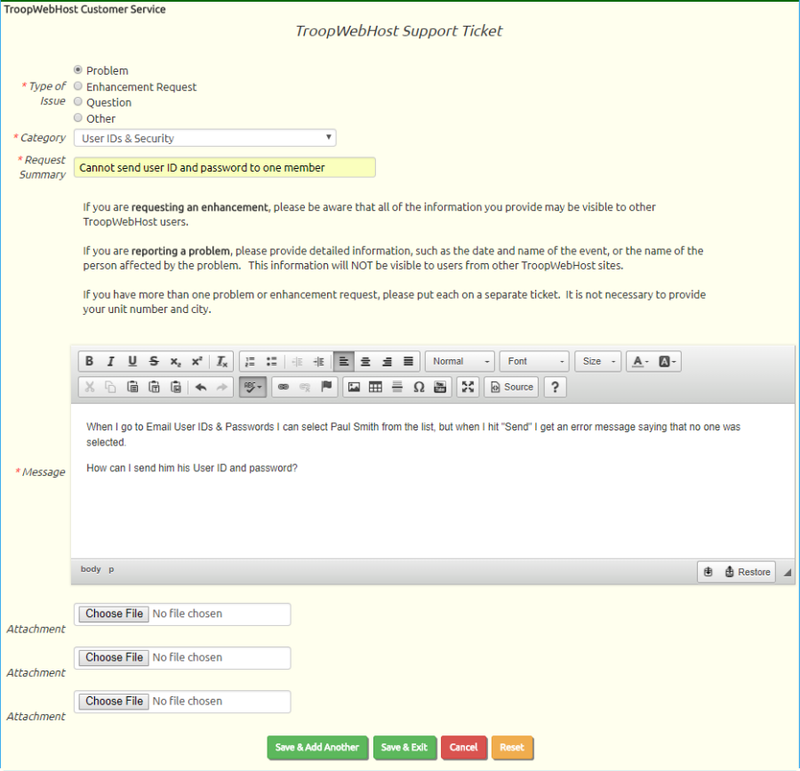 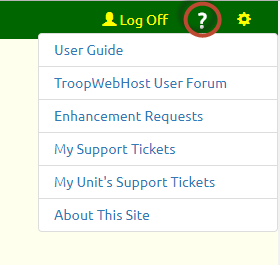 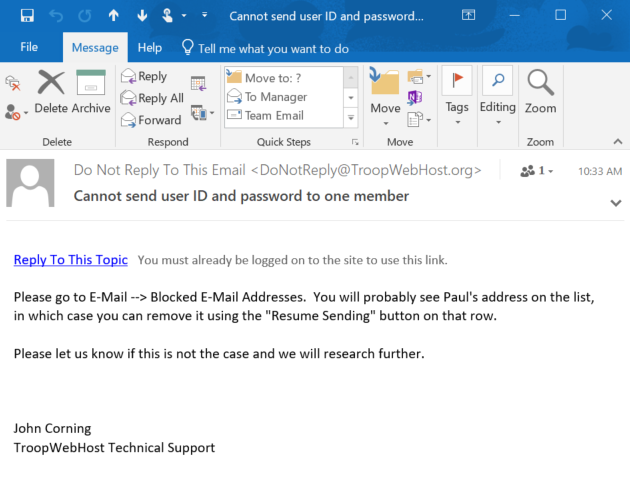 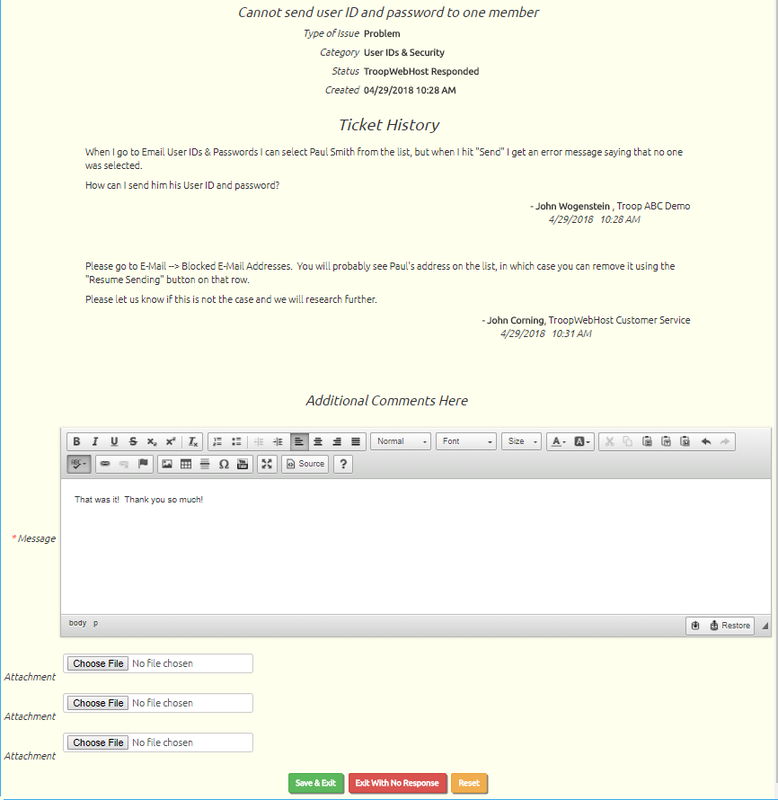 All adult users now have access to the TroopWebHost support system, which allows you to submit and track support tickets and review outstanding requests for enhancements. 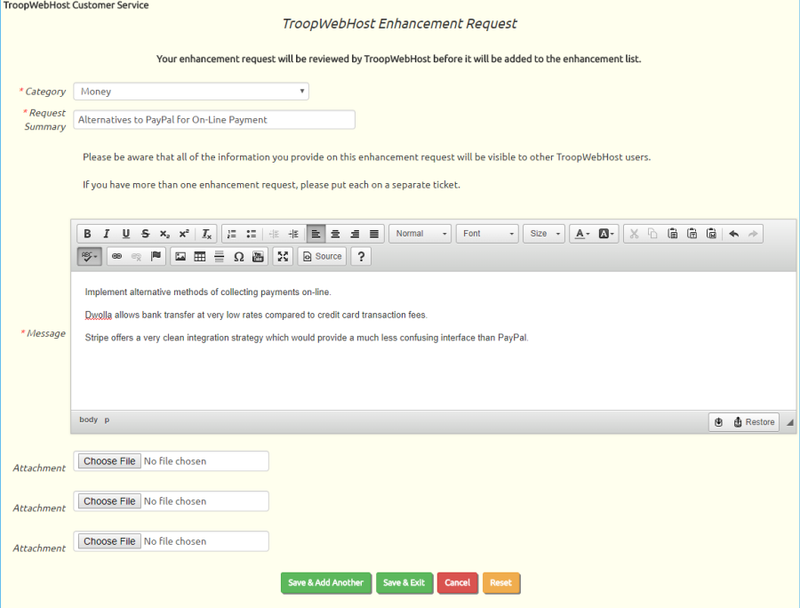 Ever wonder what's in the TroopWebHost software development pipeline? 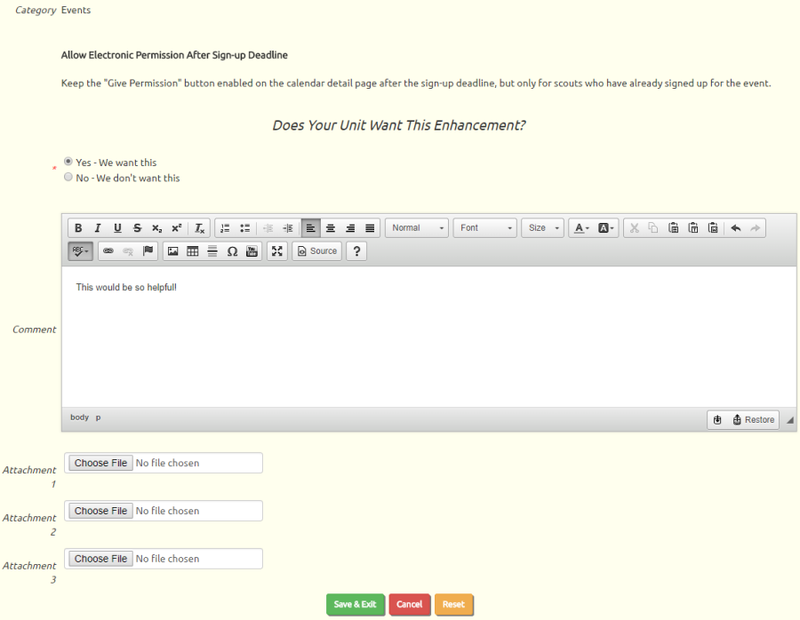 Wish you had some input as to what might be coming next? 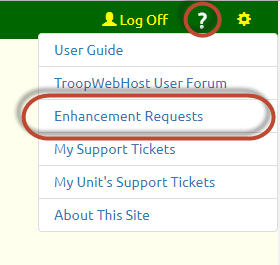 Now you can, just by selecting Enhancement Requests from the Help menu. 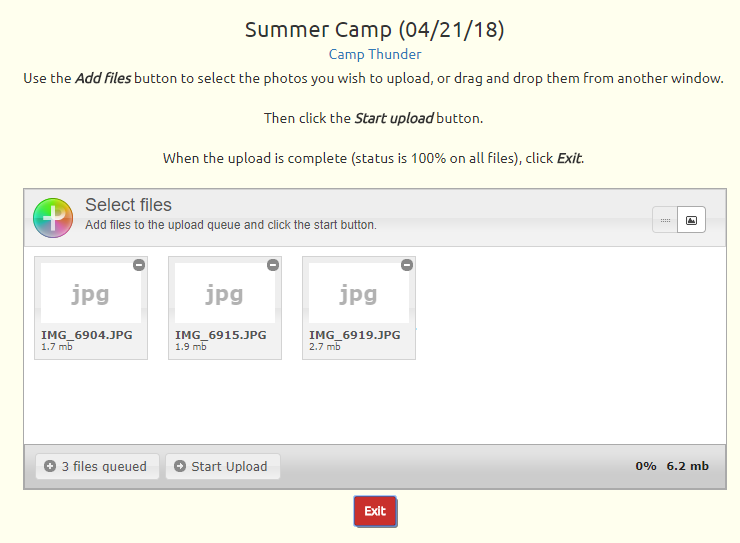 It may not look any different, but the upgraded photo upload control runs much faster now! 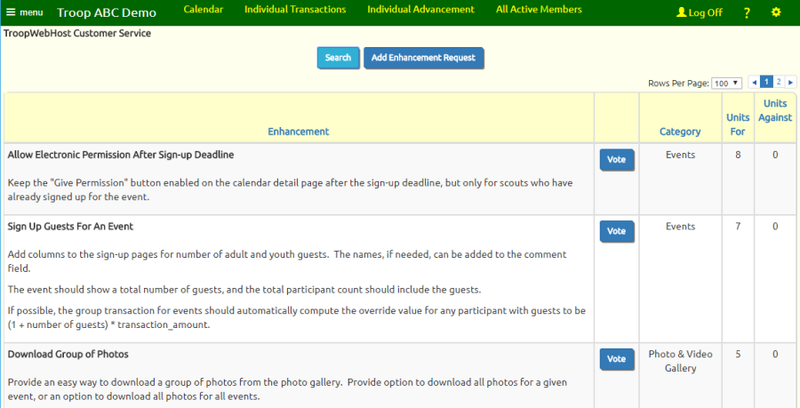 The YPT Status column on the adult participants list, as shown on the calendar detail page and the Tour Permit Worksheet, now reflects each person's YPT status as of the date of the event.